Fuji Electric, together with Duta Fuji Electric, PT. and Limalima Dinamika, PT. Organized a Technical Seminar on ” High Quality & More Complete Spesification Range Electrical Systems” which was held in Surabaya, East Java at JW Marriot Hotel on 2ndOctober, 2014. 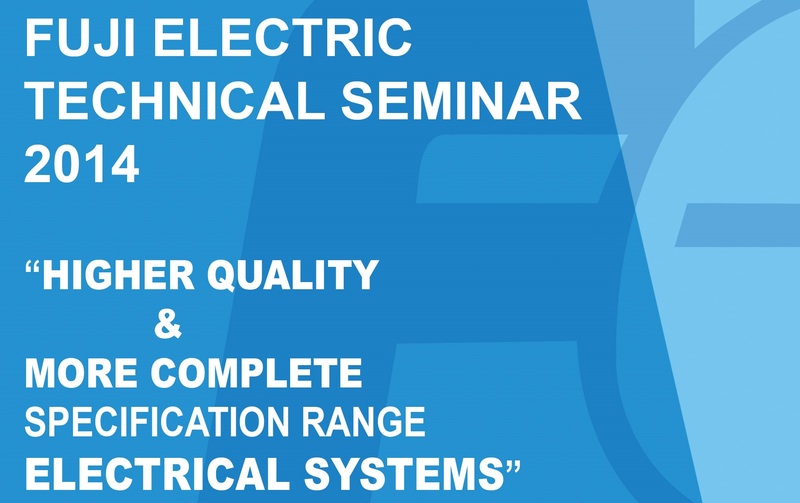 Experts from Fuji Electric conducted the seminars. A huge response from the clients of Fuji Electric was seen in both the seminars. Mr.... was present at the seminar.